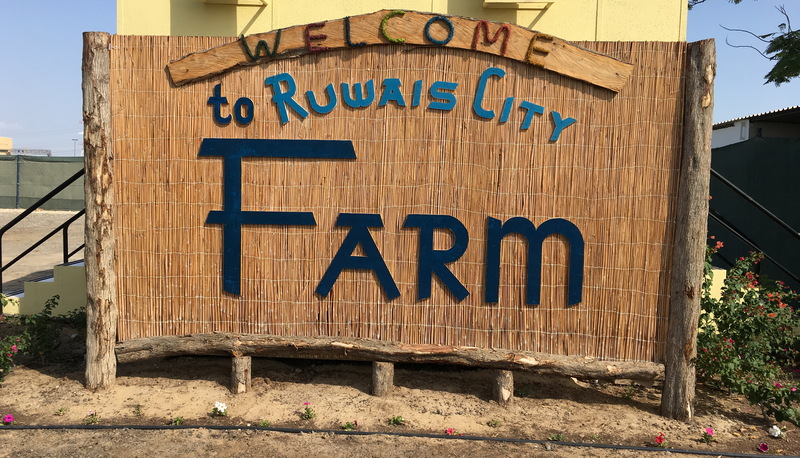 You will be glad to know that Ruwais (City) has a farm (miniature zoo) inside the Ruwais nursery. Back in 2014 i mentioned that “nursery” can also mean “plants cultivation area“, and that area is right after the Ruwais main gate, opposite to the police station. If you read on you can view the photo galery, know the rules, entry times and fees. Right after that you may schedule for you and your kids to go over to the Farm to see animals of various sizes and origins. Entrance of children under 10 years old is alowed with a person older than 15 years old. Entering with bicycle, scooter, skateboard and in-line skates is forbidden. 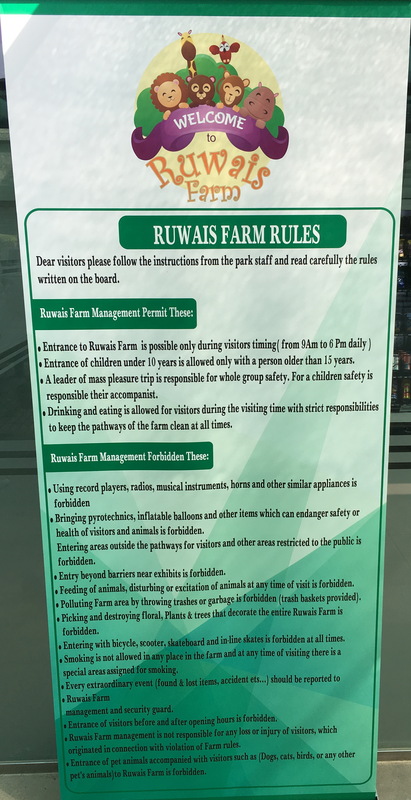 Any accident or lost & found items should be reported to Ruwais Farm management and security guard. The following galleries will show the animals and information boards for each animal. I have also included a few views of the pathways and vending machine for snacks or beverages. Lastly, but not least, i have included a relaxing video of Rabbits feeding and a couple of tortoises racing. Mind the the wind noise and (my) kids calling for each other. 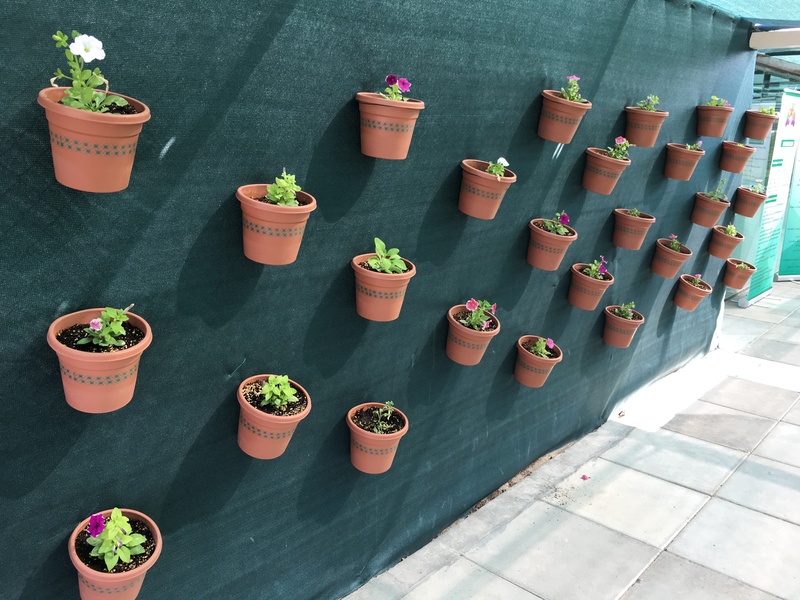 If you found this article interesting, remember to share it with your friends in Ruwais. My family visited the farm a week ago, and we thoroughly enjoyed all of the plants and animals, especially the rabbits and tortoises. Do they sell hay by any chance? We plan on having a rabbit soon and we know that they need their hay. 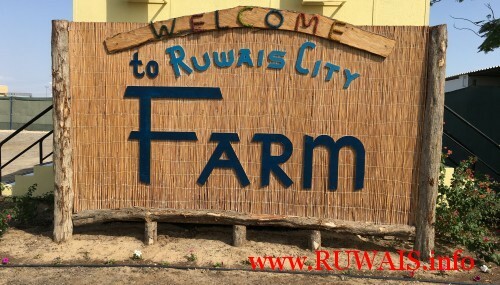 Does anyone have a contact number for the Ruwais Farm? I would like to set up a school field trip. Thanks in advance.